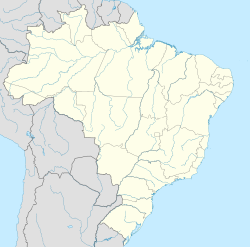 Prudentópolis is a Brazilian municipality in the state o Paraná, in Soothren Brazil. As o 2008, it haed a population o 50,614 fowk. It is the centre o the Ukrainian commonty in Brazil. In 1882, the project o the construction o roads in central Paraná attractit the first faimilies tae the region. Firmo Mendes de Queiroz, stryndit frae Bandeirantes, settled thare, livin on agricultur. He biggit a chapel, giein birth tae a place cried "Vilinha" (Little Veelage) bi its indwallers. In 1894, the govrenment decidit tae colonize the region o São João dae Capanema. Cândido Ferreira de Abreu, the awner o this colony, decidit tae chynge its name tae Prudentópolis, in honour o Brazilian preses Prudente de Morais. In 1895, tae settle this region, 1,500 Ukrainian faimilies, aboot 8,000 fowk, came tae Prudentópolis. This immigration continued till the 1920s. Nouadays, Prudentópolis is hame tae the lairgest population o Ukrainian strynd in Brazil (75% o its indwallers). Ither ethnic groups that mak up its population are Italians, Poles an Germans. The Ukrainian cultur is still preservit bi its indwallers: the Ukrainian leid is taught in local schuils, the Ukrainian rite haes thare the see o ane Catholic eparchy an thare are teepically Ukrainian constructions. Mairower, the toun is surroondit bi 100 watterfaws, which attract as well mony tourists.